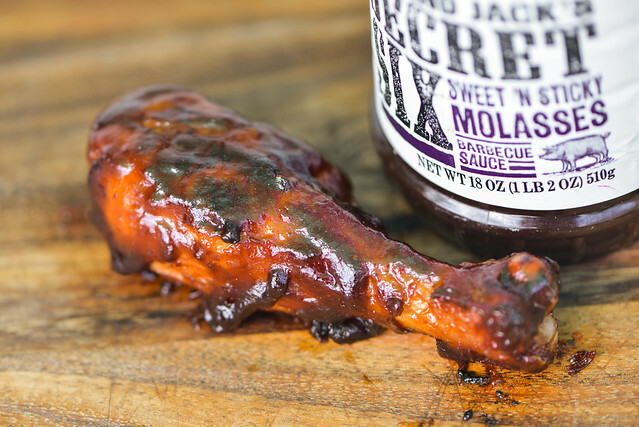 The heavy hand of molasses dominates this sweet and smoky sauce that has a light vinegar tang. It's been nearly a year and half since I received a large package that held six different bottles of Garland Jack sauces in it. I've been working on making good on my promise to give each their due respect, but at the start of the new year had still only completed four. So I made it a New Years resolution to review the final two sauces produced by a sub-brand of Kraft that can be found in local grocery stores. There's little difference between smelling this and a jar of molasses. 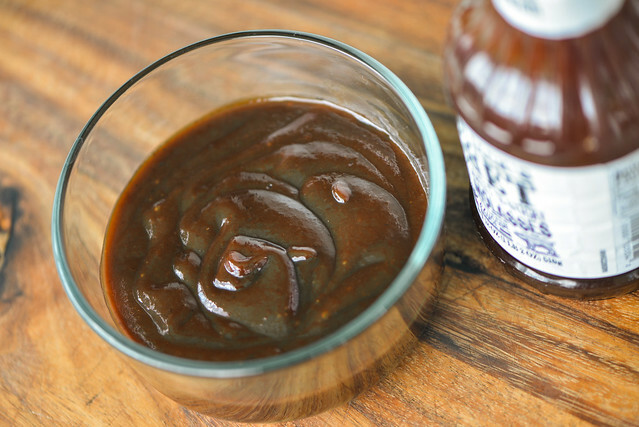 With the exception of the vinegar that adds a tanginess, this sauce has the aroma of molasses through and through. The sweetness is lightly amped up and if you try hard, undertones of garlic and onion can be discerned, but it's mainly a simple, two note sauce by smell. Just like molasses, this sauce runs very thick. It doesn't have the same super smooth syrupy consistency though, its thickness has the sauce falling in one large glob off a spoon, followed by one or two smaller ones, but most of the sauce is left clinging on the silverware. The opaque dark maroon hue makes it hard to see any spice specs, if there are any. Despite the heavy molasses appearance and aroma, the first taste of the sauce is super sugary without much depth. As the sauce settles on the tongue, that distinct molasses flavor comes out though and stays around for the rest of the ride. At the same time the molasses comes in, a heavy, acidic tomato also pops up to deliver another component of the required barbecue flavor. Vinegar now begins to add tartness that balances out the sugar. At first it's very subdued, but by the time the sauce leaves the tongue, it's built up enough to create a mild tongue tingle. 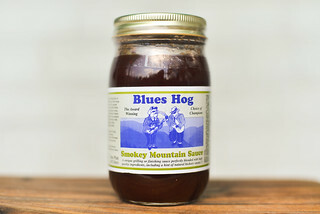 At the same time the vinegar becomes more prominent, a mellow smokiness gives a nice compliment to the molasses flavor to make this a robust, but not overstated, sauce. Like many thick sauces, this one coated the chicken leg in a patchy, uneven fashion. The thick sauce coating baked down alright over indirect heat, but suffered a bit of burn off over direct heat. Despite the sugary flavor, the caramelization was minimal. The flavor titled heavier to the sweet side after being cooked, with the contrasting vinegar tang backing down. That left the chicken to be characterized by sweet molasses almost exclusively. 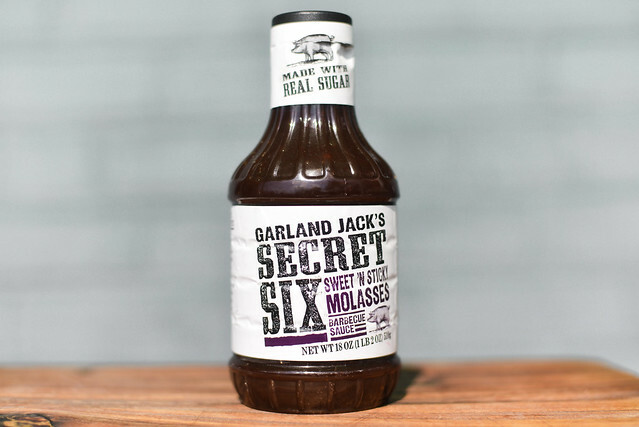 I give credit to the Garland Jack brand for developing sauces that are uniquely tailored to their advertised defining characteristic. At the same time that this more interesting and impressive than merely adding more cayenne and call something "hot," it also creates more variation from sauce to sauce where some work better than others. I can't say Sweet 'n Sticky Molasses was my favorite of the lot. 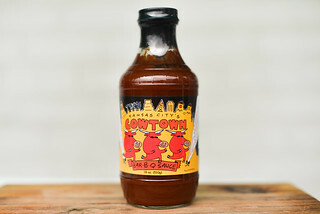 From the singular aroma, it didn't seem promising, but a taste changed that perception as the sauce delivered a balance between vinegar, tomato, molasses, and smoke that wasn't apparent on the surface. It was surprising, but also nothing great. The flavor overall was heavy handed on molasses and was missing a freshness and complexity that would have made it rise up against other sauces. On the grill things faired a little worse as any semblance of balance was thrown out as the sauce became almost nothing by sweetness. It still wasn't a bad sauce, but ultimately just average and I think you can do better for your barbecue, even within the Garland Jack line. One very important thing about this one -- no corn syrup. A good friend of mine can't have corn. 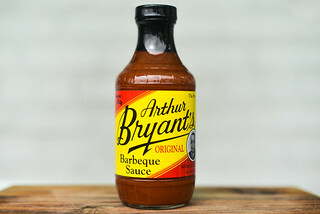 It's a rare barbecue sauce that doesn't have corn syrup as an ingredient.